POWERFUL CRIMINAL DEFENSE Undivided attention no matter what stage of the process you are in. BACKED BY OVER 15 YEARS OF EXPERIENCE. What are the benefits of hiring a trial attorney? Learn what's next after being charged with a crime. Confronting criminal charges is a frightening experience. Most likely it is one of the most difficult times you will ever encounter in your lifetime. When your freedom and your future is at stake, you need supportive and powerful legal guidance to help you navigate the legal system. You need Mandy Miller Legal, PLLC. For more than fifteen years, I have exclusively practiced criminal law. 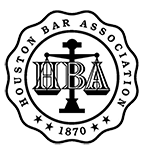 As a dedicated Katy criminal defense lawyer with trial experience, I have the breadth and depth of experience you can only garner by a focused defense practice. Whether you are facing misdemeanor or felony charges, Mandy Miller Legal, PLLC can deliver the resolute and skilled advocacy you need to protect your rights and safeguard your liberties. Call my firm to retain skilled legal counsel from a former district attorney! As a former district attorney, I understand how to analyze a case from all angles and know what it takes to fight the government. My vast knowledge of the law includes the insight into how prosecutors construct and try their cases. If there is a reason for your case to be dismissed or the charges to be reduced, I will find it. As my client, you will always receive a thorough investigation, a solid strategy, and aggressive representation to defend your rights. During my term serving as a prosecutor, I learned that there is no perfect case. This gives me a significant edge in defending my clients. As your diligent advocate, I can spot weaknesses to exploit in order to garner a dismissal or acquittal. Additionally, I know what type of charge reduction and sentencing options the district attorneys have available to them. If a complete exoneration is not a possibility, I will not rest until we have negotiated to the best plea bargain available. As your devoted criminal defense advocate, I can provide the undivided and unwavering attention you deserve. Your case will not be passed off to a colleague or assistant, but handled personally by me throughout every step of the process. I am a devoted professional who is willing to put in the long hours it takes to craft an effective defense. Protecting your best interests is always my number one priority. I believe that personalized communication is imperative for successfully representing my clients. 24/7 availability to handle emergency concerns. Personal meetings with the attorney, not an associate. Explain the details of your criminal charges in our contact form. We will answer you promptly. At Mandy Miller Legal, PLLC, I am devoted to providing prospective clients with as much information as necessary to help them make an informed and confident decision when hiring an attorney to defend their rights. I would welcome the opportunity to detail how I can provide the assertive representation you have a right to expect. Don't suffer the consequences of having inadequate or impersonal counsel fight for your freedom! Contact my firm today to request a free case evaluation. Your case is not over yet! You may think your rights as a citizen ended the moment you were convicted. I am here to tell you nothing is further from the truth. Juries sometimes make wrong decisions. Prosecutors often try flawed cases. 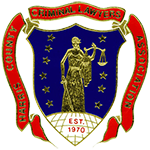 As a steadfast Katy criminal defense attorney, I have authored over 130 appeals and post-conviction writs of habeas corpus and have successfully argued before the courts of appeal on several occasions. I can deliver the resolute advocacy you can rely on to tenaciously fight for your freedom! Sentence reversed Juvenile life without parole. Don't take our word for it. See what they have to say.